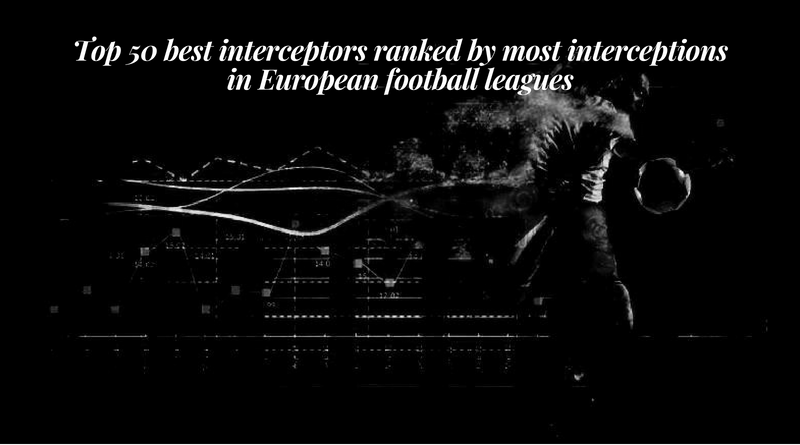 Who will finish the season as the top interceptor ranked by most interceptions in European football leagues? It’s easy to count interceptions, but who are really the best interceptors? Who makes the most impact on their team? Intercepting is a lost art form in football, but these players on the list try to keep the tradition going. After 2 weeks of 2018/2019 season, we are beginning to notice some stand-out performers in European football. But today we are looking at the top 50 interceptors ranked by most interceptions in European football leagues of the season so far. Who has made the most interceptions so far this season? And how many? Let’s see. * A list of the top 50 best interceptors ranked by most interceptions in European football leagues (Season 2018/19).